Get your badass mermaid gang together and get ready to celebrate! Hittin' the beach? You'll need something to carry your booze in. 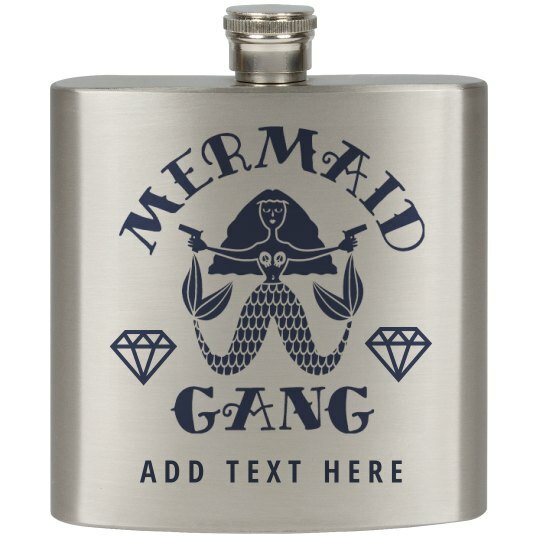 Get this flask for each person in your bachelorette party and add any text you want! Personalize it with everybody's names.